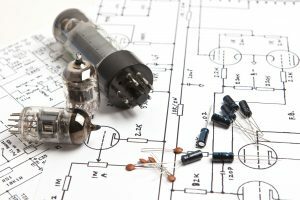 You may think that tube amps are outdated by decades, especially in an age where everything is digital. 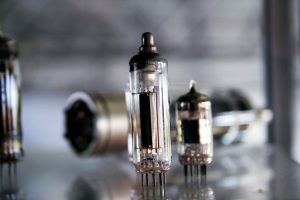 However, when this old-school mechanical amplifier has been fused with some of the technologies today, like Bluetooth, you have an impending comeback. Digital music can be lossy at times which makes it lose some of the old day’s deep and warm music. 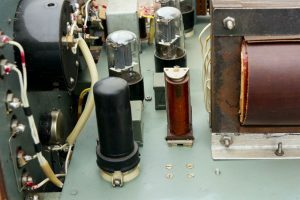 The solution that Monoprice came about was to use tube preamplifiers to bring back those qualities that seem to be lacking in today’s music. 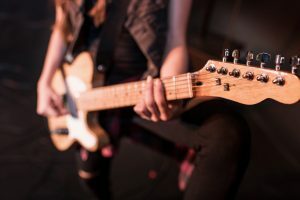 The Monoprice Tube Amp is a hybrid system that combines the nostalgically warm sound of a preamp with the clarity and power of a 50-watt power amp. Throw in Bluetooth V4.0 connectivity and other unique features and you got a system that will send you back to memories lane using a wireless stream. 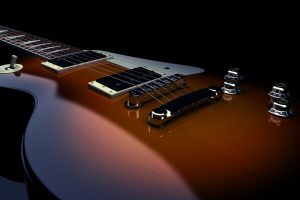 Sporting a minimalist retro look, this instrument has a mixture of the old and the new. 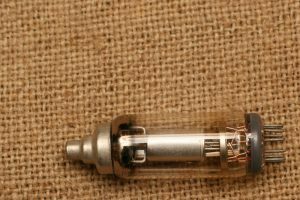 Exposed vacuum tubes encased in aluminum cages gives off a warm glow when the device is turned on. 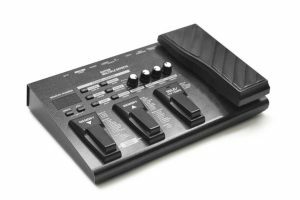 While, its black panels, chrome accents and lighted VU meter further enhances its old-school feel. 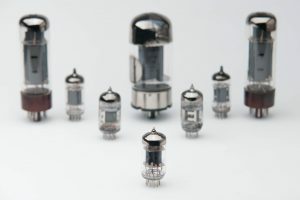 If you are unfamiliar with vacuum tubes, they were the ones used before modern transistor amplifiers. 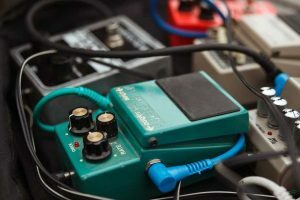 You can say that they are more “mechanical” when boosting signals and powering speakers compared to the transistors that uses electrical signals. Audiophiles prefer their more natural and warmer sound that is generated by its mechanical operation. The Monoprice Tube Amp can be paired with your smartphone or tablet to play your tracks. Add in a Qualcomm aptX Audio codec and you have a clear and accurate wireless streaming with a 20 Khz frequency response. Its 50-watter per channel power amplifier has less than 0.1 percent total harmonic distortion. This gives the amp robust sounds even at high volumes. If you are someone who yearns for the original sound of old music, then this is the music player for you. Its hybrid system blends perfectly a balance between the old and new technology to bring you one of the most satisfying musical experience. The device is also portable and can be placed almost anywhere in your house or room. It weighs 13.2 pounds and has the following dimensions: 14.6 inches x 13.7 inches x 9 inches. You have several options of cable inputs for audio input/ output including a headphone jack if you want to listen to the song without bothering anyone and the RCA jacks which you can connect to a CD player. The RCA preamp outputs can also be connected to a subwoofer if you want to bring the house down. Listening to the sound produced by the Monoprice Tube Amp was quite satisfying. 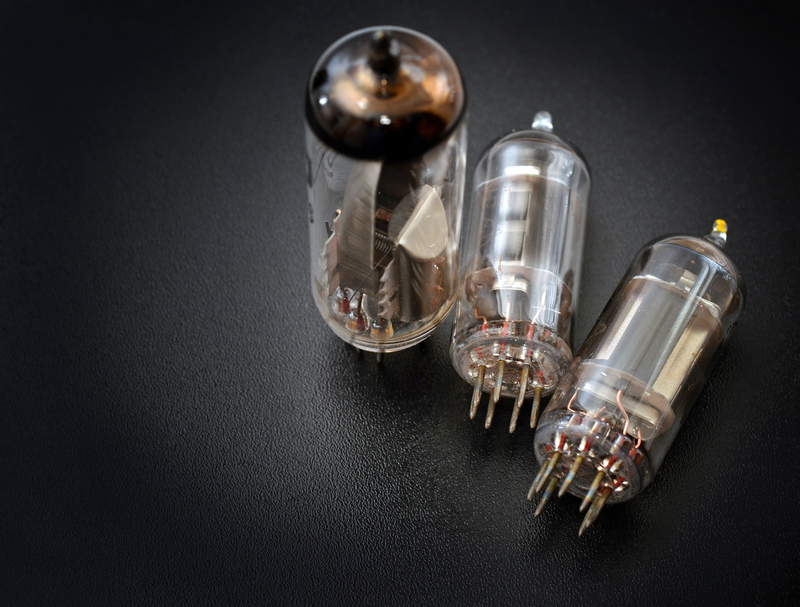 The vacuum tube hums the moment you turn on the device thus, giving it a more intimate audio experience. The soundtracks from the 90’s and earlier were surprisingly livelier when played on this device. Overall, this is probably one of the best tube stereo amplifiers that we got our hands into. Its retro look and clean finish exudes a classical look that will surely be a nice addition into your living room or office. The sound quality is just phenomenal, that you wouldn’t think it only cost a few hundred dollars. Experiencing the Monoprice Tube Amp will make you think that the future of music may well lie on hybrid systems, such as this one. It has conveniently combined what we loved on both the spectrum of the old and new trends in a portable music player. Who Should Buy the Monoprice Tube Amp with Bluetooth? This device is initially marketed for old school music lovers who want to listen to old tracks. And the Monoprice Tube Amp surely won’t disappoint. The sound quality is superb and as close as it gets to the original soundtrack. Everything about it speaks two things – nostalgia and warmth. The device is also perfect for audiophiles looking to add an affordable music player to their collection. 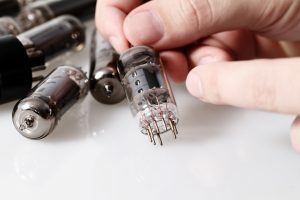 Sound-wise, the Monoprice Tube Amp is one heck of an instrument that can bring back to life some of the old tracks that when played with modern machinery may sound blunt at times. This tube amp is also a great centerpiece in a living room or your office. Its unique retro look will surely catch the eyes of your guests, as effective as catching their ears to the sound of its music. The Monoprice Tube Amp with Bluetooth is an amp that will surely satisfy any music lover regardless of age. 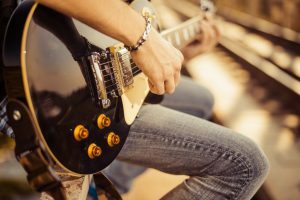 It’s one of the most affordable ways to enjoy the nostalgia of the songs of your past without having to play vinyl records. Its Bluetooth connectivity is also an equal part of the equation. Because of this feature, you can play all the tracks on your phone or tablet. The amp can also be connected to a CD player for a complete option of devices you can play your music into. Everything about this device is retro- from the looks, to its details down to the quality of the music. The Monoprice Tube Amp is one of the testament that we shouldn’t shy away from the past. Kkika 38W2 Tube Hi-Fi Stereo Amplifier Review Monoprice 611815 15-Watt 1 x 12 Combo Amp Reviewed! Onkyo TX-SR373 5.2 Channel A/V Receiver with Bluetooth — Reviewed! 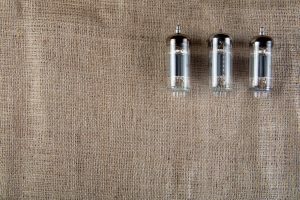 Biyang/Wang Amps VT-1H All Tube 1 Watt Micro Amp Head Reviewed! Hello Jarsh, nice review – short and concise. What speakers, sources and tracks did you use for your listening tests? I feel the same as you, and like any hifi guy I rolled the tubes with a set from the Canadian tube store. It’s marginally better (noticeably in the detail). The solid state amp is clean which is a surprise, and it drives my Canton pedestal mount speakers. It truly opens the sound more than any amp I’ve used. The voices and instruments are separated giving you live sound. $200 is a bargain from Monoprice, and highly recommended. My other amps/receivers are Marantz.